Florida Retirement Living Like No Other – Live Life At Vienna Square! 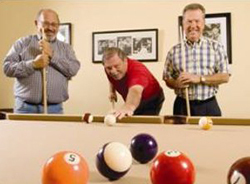 Florida retirement living is supposed to be fun and active. Vienna Square is one of a those exclusive Florida retirement communities that is focused on our residents and their active adult lifestyles. We offer site built homes and villas, a community clubhouse and more for your enjoyment and all of it is extremely affordable! 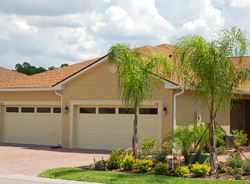 Florida retirement communities are growing in popularity. At Vienna Square you do not feel like you are living in a retirement community. Instead, you feel at home in a community with other like-minded people with similar lifestyles as your own. You can connect with people and make new friends on a deeper level. We offer you flexibility, freedom and fun. You will get to enjoy all of the amenities and events when you live in Vienna Square. Florida retirement living makes way for many outdoor activities with an outdoor swimming pool and spa, biking and hiking trails and more. We offer movie night, game night and tournaments. We offer clubs, groups and luncheons, parties and karaoke. We even celebrate holidays with parades and more. 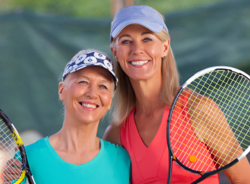 Many other retirement communities give you the opportunity to enjoy the events and amenities of their communities but with limitations or restrictions on traveling or without the home ownership benefit. Our type of Florida retirement living allows you to enjoy your home or villa with minimal maintenance because they include basic cable television and monitored home security systems for your safety and peace of mind. Vienna Square is located in Winter Haven. We are a relaxed community with access to many affordable services such as shopping, medical facilities and more. We are centrally located in Florida with quick and easy access to the expressway systems that take you to Disney World, Universal Studios, Busch Gardens, Bok Tower and more. You are also close to the great beaches on either coast and are able to attend major sporting events, symphonies, concerts and plays. You are also close to some of the best golf courses in Florida. 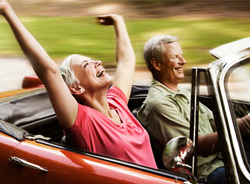 Florida retirement living is supposed to give you freedom to do as you wish. At Vienna Square, we offer a variety of homes and maintenance-free villas. Each can be upgraded with custom kitchens, bathrooms, living rooms or more. Our on-site specialists can help you build the custom retirement home of your dreams. We want you to feel at home in Vienna Square. We would love for you to come visit us on our Great Escape program. Check us out on the Internet or at or call us at 877-791-9907 today to learn more about Vienna Square and what it has to offer you. Stop looking for Florida retirement living in anywhere but Vienna Square. You are finally home.